The earphones will be available for purchase via Amazon and the company’s own online portal. 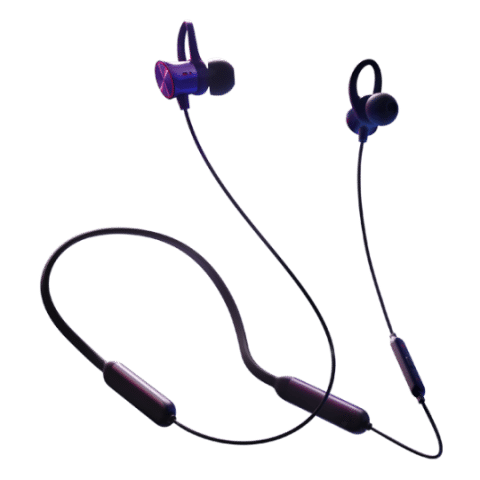 Alongside the OnePlus 6, the company also announced the Bluetooth enabled version of its Bullets Wireless earphones. It is now confirmed that the devices will be available for purchase in India from June 19 at 12 PM from OnePlus.in and Amazon. The company has priced them at Rs 3,990 and they popped up on the company’s website since OnePlus 6 launched. The company has not revealed whether there will be any launch offer with the device or not. The Bullets Wireless earphones (review) are Bluetooth 4.1 enabled and feature Qualcomm aptX support. The Bullets Wireless earphones feature a neckband design and the earpieces on the device are magnetic. It comes with a nifty feature that pauses audio whenever the headphones are clipped together. As soon as they are un-clipped, they quickly pair with the last connected device. The earphones are also equipped with in-line controls and a mic for handling calls. The in-line controls also feature volume rockers and a button on the middle controls music playback, along with call management. Long pressing the button brings up the Google Assistant. The earphone is compatible with both Android and iOS. As mentioned earlier, the devices were launched alongside the OnePlus 6. The smartphone is powered by the Snapdragon 845 SoC and sports a 6.28-inch Full Optic screen with a taller 19:9 display aspect ratio. There is a notch on top of the display. The smartphone features an all-glass rear panel, albeit without wireless charging support. The device runs on OxygenOS 5.1.6, which is based on Android 8.1 Oreo and sports a rear-mounted fingerprint reader and supports Face Unlock as well. For shutterbugs, the OnePlus 6 comes equipped with a vertically stacked dual rear camera setup. Here, one is a 20MP Sony IMX519 sensor and another is a 16MP Sony IMX376K sensor. The rear camera supports both Electronic image stabilization (EIS) and Optical Image Stabilisation (OIS). On the front is a 16MP sensor with a f/2.0 aperture lens.